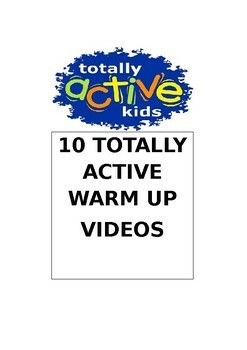 This is a collection of 10 simple warm up activities suitable for younger children that are fun and easy to teach. These 10 VIDEOS show children playing each game allowing teachers to see the spaces required, the equipment needed and how the games progress. All videos have commentary by the coach highlighting organizational variations and safety aspects of each game. The games are accompanied by a supporting PDF document with instructions and equipment requirements. See the kids in action, listen to the coach and print the instructions for reference. Teaching games has never been so easy. Games in this package include: Circle grab, Freeze and thaw, Fireman to the rescue, Showerball, Stop n' go, Tails Galour, Three on one, Wasps, Who's Home and Wild Horses.